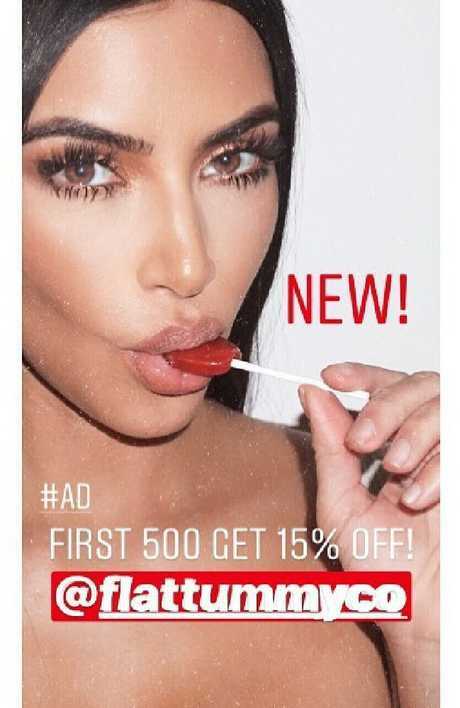 KIM Kardashian was slammed by fans, including actor Jameela Jamil, for promoting "appetite suppressant" lollipops in a now-deleted Instagram ad. Kardashian, 37, posted Tuesday the advertisement for Flat Tummy Co., a company she often promotes for their weight-loss teas and shakes, before taking it down Wednesday morning. "#ad You guys … @flattummyco just dropped a new product. They're Appetite Suppressant Lollipops and they're literally unreal. They're giving the first 500 people on their website 15 per cent OFF so if you want to get your hands on some … you need to do it quick! #suckit," Kardashian captioned a photo of her sucking the lollipop. Kim Kardashian's flogging 'Appetite Suppressant Lollipops’ on Insta. Fans immediately began criticising the reality star on social media and accused her of promoting eating disorders. The Good Place actor Jameela Jamil took to Twitter to slam Kardashian as a "toxic influence on young girls." "No. F--- off. No. You [are a] terrible and toxic influence on young girls. I admire their mother's branding capabilities, she is an exploitative but innovative genius, however this family makes me feel actual despair over what women are reduced to," Jamil tweeted. "MAYBE don't take appetite suppressors and eat enough to fuel your BRAIN and work hard and be successful. And to play with your kids. And to have fun with your friends. And to have something to say about your life at the end, other than 'I had a flat stomach,'" she added. Another woman wrote, "Wow I have lost all respect for Kim Kardashian. Promoting appetite suppressants when it's mental health awareness week? There are so many people who battle or who have battled with an eating disorder and she is making not eating look like it is 'trendy.' Disgusting and selfish." "Eating disorders are a very real issue for a lot of young people and to see Kim Kardashian actively encouraging her fans to develop an unhealthy relationship with food is terrifying and gravely concerning," one person tweeted. Some people questioned the mother of three's "desperate" need for money. "I think Kim Kardashian is so bloody irresponsible posting about appetite suppressant lollipops. What's next Kim, gambling? Drugs? Yes I get influencers get paid for adverts, but surely it's better to be ethical about what your paid to post about?" another woman tweeted. One user said, "How desperate are you for the money @KimKardashian? I refuse to believe that some tin-pot lollipop making company is paying you THAT MUCH that you lose all common sense to think about the message that this sends your fans and followers. 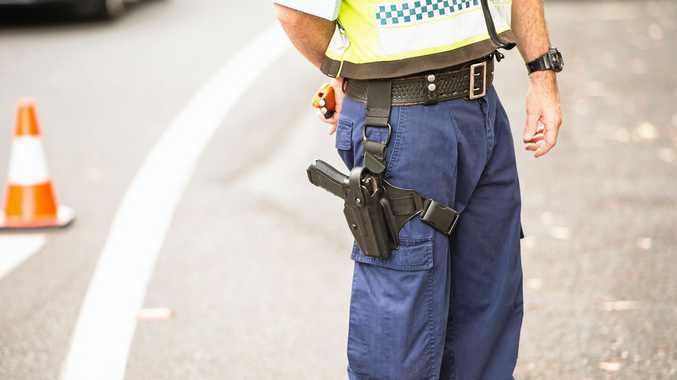 It's outrageously irresponsible." Kardashian wasn't the only celebrity promoting the product. Tori Spelling also posted an Instagram advertisement on Tuesday, saying she was "obsessed" with the candy that helps curb her cravings. Followers also criticised Spelling, who responded to one user questioning whether the actor used the products she promoted. "For the record I ONLY endorse products I actually try, use, and love. That's very important to me. So please don't make assumptions about things you don't know the facts about. Thanks," she wrote. Flat Tummy's appetite suppressant lollipops were released Tuesday and said to help consumers suppress their hunger and keep "cravings in-check." The product also contains a warning stating the "statements on the Site have not been evaluated by the Food and Drug Administration, and the products offered on the Site are not intended to diagnose, treat, cure, or prevent any disease."